Katharine Hayhoe, a professor of political science and director of the Texas Tech University Climate Science Center, is having a busy few weeks. As one of the world's leading climate scientists, Hayhoe is frequently featured in national media discussing climate science and its impacts and solutions. But even she doesn't get to talk about her passion with the President of the United States and one of Hollywood's biggest stars in front of millions of people every day. Nor does that experience usually come on the heels of yet another major honor and the premiere of her new PBS Digital Series. 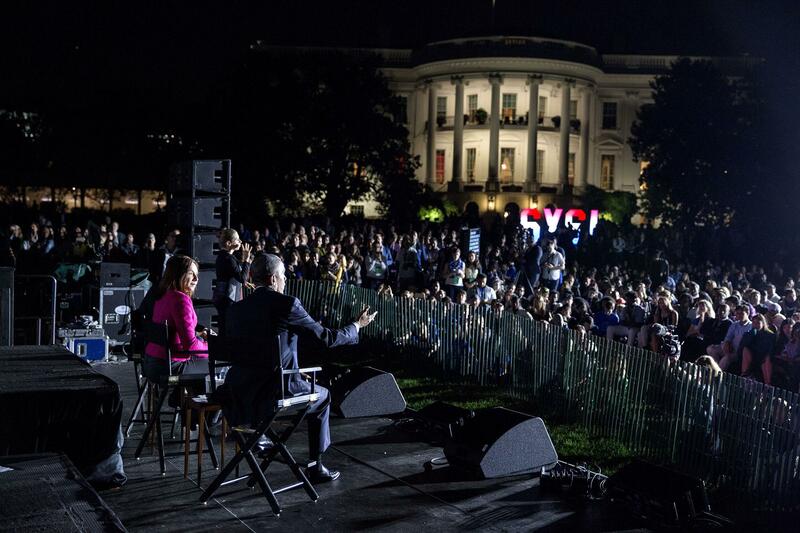 On Monday evening (Oct. 3), Hayhoe will participate in a conversation on climate change with President Barack Obama, moderated by Academy Award-winning actor, producer and activist Leonardo DiCaprio on the south lawn of the White House. The discussion will focus on the importance of protecting the planet for future generations. "I am honored to participate in an event that puts a spotlight on this critical global issue," Hayhoe said. "Some people may say, why focus on climate change when we have so many other, bigger problems in the world today? The reality is we can pour all our money and our efforts, our time and our prayers into trying to fix the big issues, like global hunger, poverty, water contamination and disease; but if we don't fix climate, we don't have a chance of fixing these other problems, either. Climate change is affecting our food, our water, our air and even our economy – and those already vulnerable and disadvantaged are the ones being hit the hardest by its impacts." 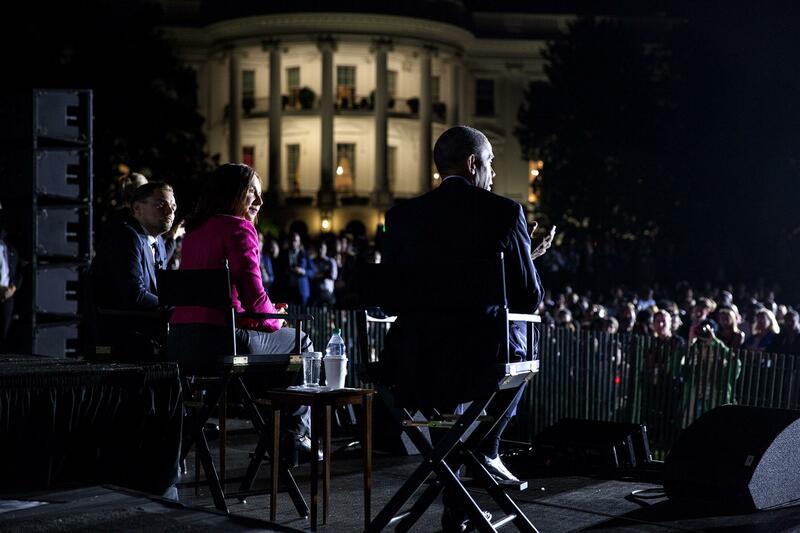 The conversation is the featured event for the inaugural South by South Lawn: A White House Festival of Ideas, Art and Action. 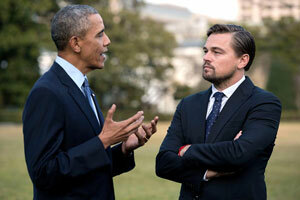 It will be followed by the domestic premiere of DiCaprio's new climate documentary film "Before the Flood." The festival will include panel discussions exploring how leaders in art, technology, food, innovation and social change are helping to move the country forward; musical performances from The Lumineers, Sharon Jones and the Dap-Kings and DJ Beverly Bond; and interactive exhibits. It will be livestreamed via sxsw.com/live and Facebook. Find more information here. Hayhoe recently was honored by Politico and the Sierra Club for her efforts in spreading the message of the dangers of climate change. Politico named Hayhoe to the annual Politico 50 list, which recognizes those in society who help shape policy and thinking in America, especially during this election year. Writers, inventors, lawmakers and activists comprise the list of the 50 most influential people in the national political debate. According to Politico, the list pays tribute to the power of ideas and the people behind them, aiming for those who shed light on the most important topics facing society today. "I am delighted to be named to the Politico 50 list together with Bob Inglis," Hayhoe said. "Bob, a former Republican congressman, is leading the critical national discussion on conservative, free-market solutions to a changing climate. It is an honor to share this recognition with him." Politico praised Hayhoe for her efforts at reaching out to evangelical Christians, a group most likely to be influenced by climate science misinformation, and encouraging them to protect the environment from the damage being done to it by humanity, leading to climate change. "Hayhoe has built a career around reaching out to those who share her faith, arguing that Christians have an obligation to both protect God's creation and to exhibit the kind of selfless love taught in the Bible," according to Politico's website. "Climate change, she points out, affects people in developing nations, such as farmers who cannot make a dependable income, and residents of cities who have to reckon with floods and water shortages." Earlier this month, the Sierra Club honored Hayhoe with its 2016 Distinguished Service Award, given to those in public service who exhibit strong and consistent commitment to conservation over a long period of time. Hayhoe was nominated for this award for her work with the Climate Science Center and her work in convincing evangelical Christians of the realities of climate change. 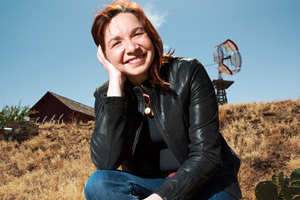 "My work may defy some stereotypes about the politics of science and religion," Hayhoe said. "By defying stereotypes, my hope is that this creates the opportunity for all of us to consider what we truly value and to align our attitudes and decisions with the values that define us." Hayhoe recently teamed with Texas Tech University Public Media (TTPM) to produce a new PBS Digital Series called "Global Weirding." The series, which premieres Wednesday (Sept. 28), will explore the climate issues society faces today, including climate change, religion, politics, global warming and more, and how they are all connected. "In this series, we're tackling issues head-on," Hayhoe said. "How do we even know this global warming thing is real? Is climate change behind the crazy weather we see today? Does fixing the climate mean we have to shut down the economy? Why are the Pope and the National Association of Evangelicals piling on? And why do climate scientists get so much hate mail? "Money and politics, God and global warming, every topic we avoid in polite conversation, we're going there." The new digital series will feature 12 episodes, airing every other Wednesday at 10 a.m.
After every new episode, Hayhoe will answer questions about the show beginning at 7 p.m. on her Facebook page and Twitter at @KHayhoe with the hashtag #globalweirding. 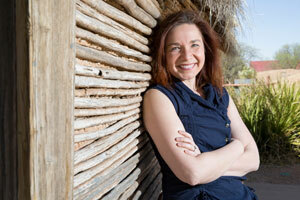 Hayhoe has been recognized both nationally and internationally for her work in climate science. She recently made the Politico 50 list as one of the thinkers, doers and visionaries for American politics in 2016, and she also has been named 50 Women to Watch from Christianity Today, TIME Magazine's 100 Most Influential People, Foreign Policy's 100 Leading Global Thinkers and as one of 20 Climate Champions by the Huffington Post. Her work has been featured in documentaries and articles, including "Years of Living Dangerously" and "The Secret Life of Scientists and Engineers." "I feel very lucky to have the opportunity to work with Dr. Hayhoe," said Jonathan Seaborn, production director for TTPM. "Education is what it's all about, and you couldn't ask for someone more knowledgable on this topic than her." TTPM strives to provide alternative, educational and informative programming through the Public Broadcasting Service (PBS), the British Broadcasting Corporation (BBC) Network and National Public Radio (NPR) to produce a large number of shows via television and radio. Split into two areas, KTTZ-TV and KTTZ-FM, the television broadcasting began in 1962 and the radio broadcasting began in 1987. Each episode of "Global Weirding" will be available on YouTube when it is released. For more information, visit globalweirdingseries.com or kttz.org. 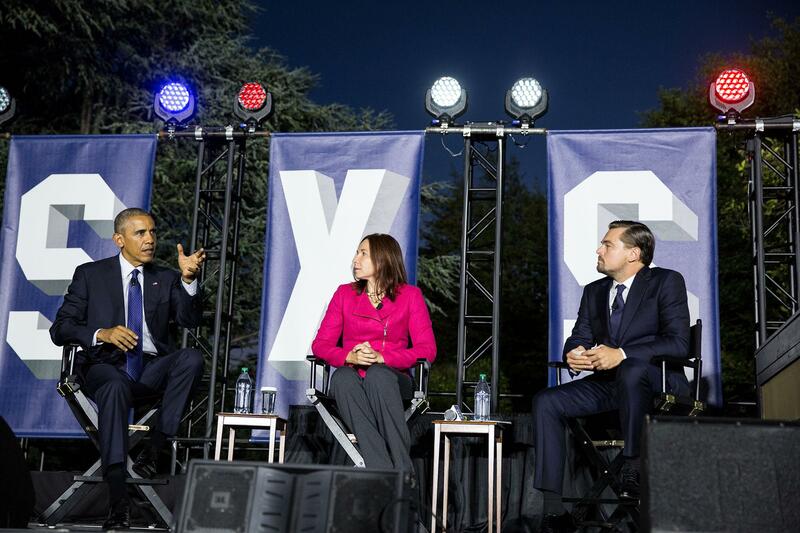 October 3 - Katharine Hayhoe will join President Obama and Academy Award-winning actor Leonardo DiCaprio for a discussion about the importance of protecting the one planet for future generations. KTTZ-TV Channel 5's digital signal reaches a population of approximately 330,000 in 13 counties; cable and satellite extend service area to a total of 21 counties. The stations diverse programming features 49 hours of educational childrens programming each week. KTTZ-TVs focus on arts, education, community outreach and quality programming for both children and adults makes it a vital part of the community...educating, entertaining and enlightening viewers of all ages. KTTZ-TV operates as the Educational Television Department under the Office of the Provost.